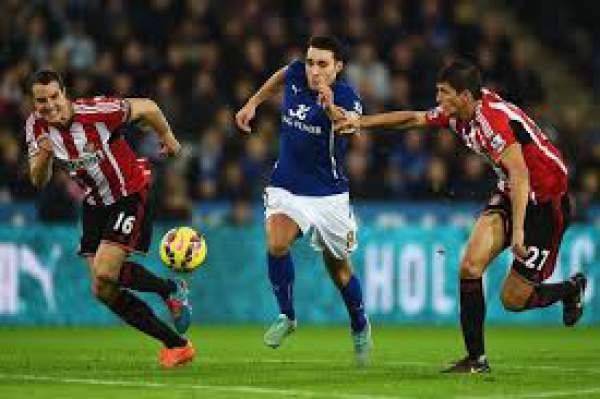 Leicester City vs Sunderland Live Streaming EPL Score 2017: Leicester City hosts Sunderland at the King Power Stadium for their game on the 31st matchday of the Premier league. Leicester City have been moving up on the table as they have 33 points from 29 games, one point below Watford and above on goal difference from West Ham United. On the other hand, we have Sunderland who are last on the table with 20 points from 29 games, three points below Middlesbrough and eight points below safety from the relegation zone. 05th April 2017 at 00:15 (IST). Leicester City have been rejuvenated since Claudio Ranieri has been sacked and their new manager Craig Shakespeare have taken the charge. He has since been breaking some records like being the first English manager to have scored 3+ goals in his first three games in the Premier league. Check: Burnley vs Stoke City live stream. He was also named the manager of the month for March as Leicester City won all their games. Leicester City have never lost a home game to Sunderland, winning four and drawing two. Jamie Vardy has scored three premier league goals against Sunderland. They have lost one and won four games out of the last five games in the premier league. Sunderland is getting closer to being relegated as the season comes to the business end with only eight more games to go. They have won just five games, drawing four and losing 19 games in total, scoring 24 goals and conceding 51 goals in total. Sunderland have won two of their last four visits to the King Power Stadium, winning in the Championship. Sunderland have failed to score in their last eight games in the Premier league, losing six games and drawing two games. Leicester City are in superb form right now and can win this one very easily.